If you love Christmas and you love embroidery too, then it's never too early to start on your Christmas stitching projects. 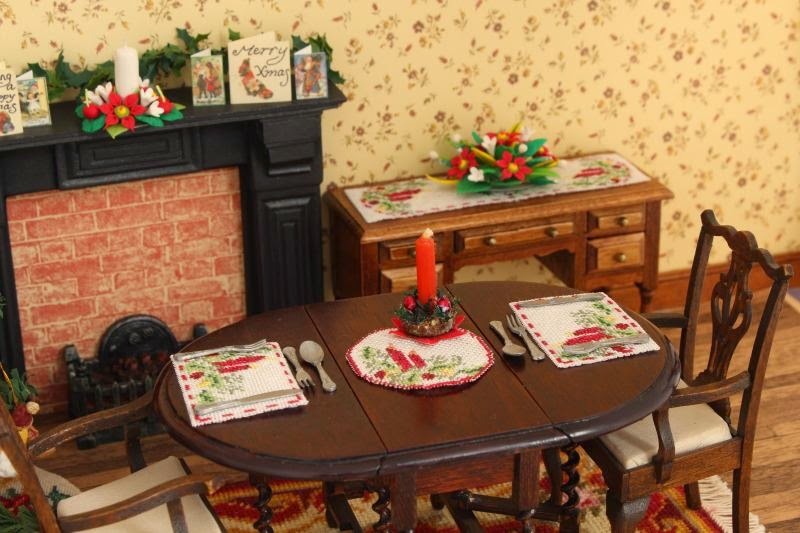 As the nights start drawing in, what can be better than having a Christmassy project to keep you busy in the evenings? 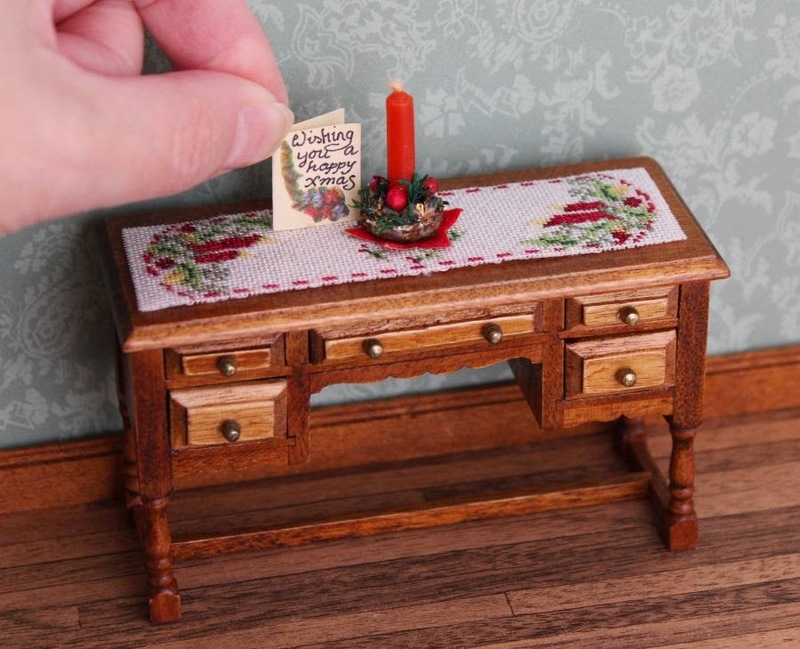 AIM member Janet Granger has recently added some new miniature needlepoint kits with Christmas motifs of candles and holly for table runners and place mats to her 12th scale embroidery kit range. There is still plenty of time before the festive season to make them for your festive doll house displays or to stitch as wonderful Christmas presents for friends who have doll's houses too. All the kits contain 32 count silk gauze, plenty of Anchor stranded cotton and a suitable needle for you to stitch with. The designs are counted from a colour block chart (the design isn't printed on the fabric), which is simple to use and easy on the eyes. Instructions on how to finish the kits are included, too. You may want to purchase some Fray Check fabric glue (also available on the website) to stabilise the edges of the gauze before you trim around it.